The competition was extremely tight and it came down to a thrilling 3rd-round Air Off between Your Daddy and Matt “Airistotle” Burns from the United States. 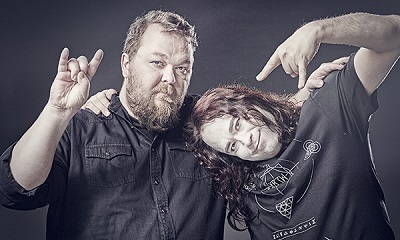 The two also happen to be friends from opposite ends of the world who met each other through the annual worldwide competition, illustrating the message of brotherhood that the Air Guitar World Championships has spread for 20 years. 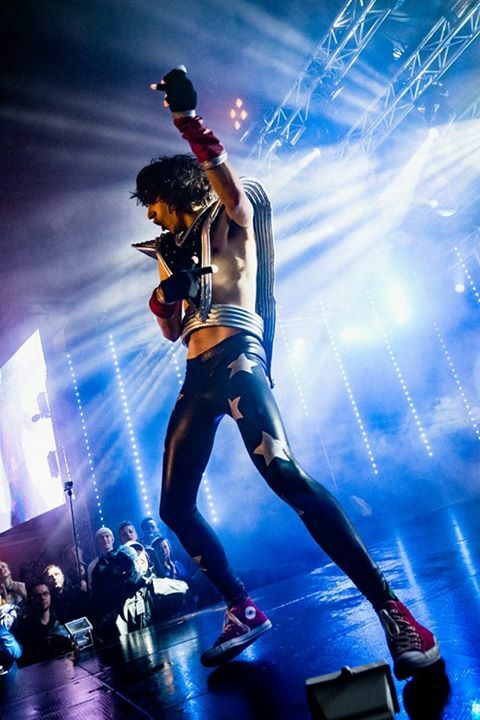 The rainy weather didn´t dampen the spirits of thousands of air guitar fans who crowded the town square of Oulu, Finland, to celebrate this unusual, long-running event and watch the best air guitarists from around the globe battle it out for air supremacy. It was a dramatic conclusion to a historic night of good vibrations and creativity that also included a performance by French musical-comedy troupe Airnadette and modern circus group Race Horse Company from Finland. The rain was also a challenge for the performers, who nonetheless navigated a slick stage, using acrobatic jumps and energetic interpretations to bring their acts to new levels of airness. Author/comedian Dan “Bjorn Turoque” Crane, a beloved member of the international air guitar community, served as Master of Airemonies for the eighth time and once again kept the crowd entertained. Seven former world champions also returned to Oulu to perform and celebrate 20 years of absurdity. The second-round song , which ended in a tie for first place between Your Daddy and Airstotle, was “Phantom Man” by the Finnish band Atom Notes.